SOAPware DocumentationSOAPware FAQ'sFAQ's MiscellaneousQ: How do I create a mailing label? 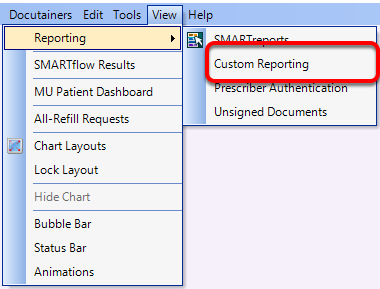 Open the Custom Patient Reporting by clicking on View > Reporting > Custom Reporting. 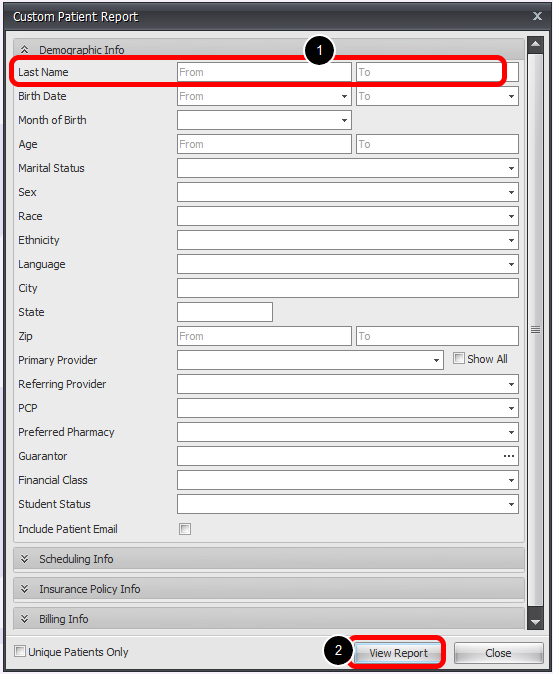 In the Demographics section under Last Name, specify the range of patient's that you wish to export for the mailing labels (Ex: if you wish to create mailing labels for all patients, enter A in the first box and Z in the second). 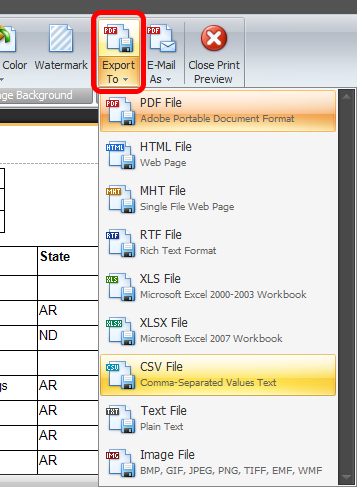 Export the report to a CSV or Excel File by clicking on the Export To button, then select either XLS, XLSX or CSV. 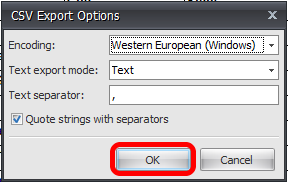 If CSV is selected, define the export options and then click OK. This will export the file to an Excel/CSV file. From here the columns/rows can be edited so that they only include the data that is needed to create mailing labels. This file should be saved as an Excel file and then imported into Microsoft Word when the Mail Merge to create the Labels is created. Previous Lesson: Q: How do I optimize SOAPware over an RDP Connection? Next Lesson: Q: How do I remove a document?